Sony and Marvel have reportedly settled on The Sinister Six director Drew Goddard to write and direct their new Spider-Man movie, according to a report from Latino-Review. The most intriguing part of this story is that it also reveals Iron Man and The Sinister Six will be featured in this standalone Spider-Man movie, which has been set for release on July 28, 2017. Drew Goddard's The Sinister Six movie, and the rest of Sony's spinoffs such as Venom and an Aunt May project, have been completely scrapped at this time. 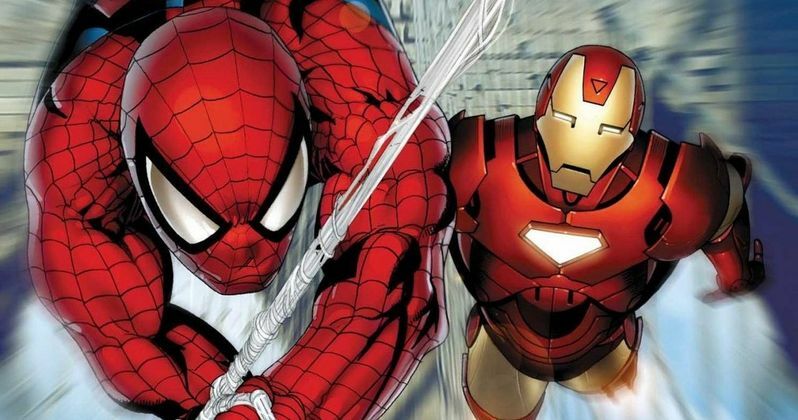 As you likely know by now, the new Spider-Man will first show up in an upcoming Marvel movie, most likely Captain America: Civil War, where Robert Downey Jr. is reprising his role as Iron Man. While we don't know how large or small Spider-Man's role is in the Marvel movie, "a major part" of the standalone Spider-Man movie features Spidey fighting with Iron Man, as he tries to "pass his audition" to join The Avengers. The movie will also showcase The Sinister Six coming together for the first time, although Sony may still develop a spinoff for this villainous group. While there have already been rumors about actors such as Dylan O'Brien and Josh Hutcherson being sought to play Peter Parker, the site reports that casting will not begin in earnest for "a number of months" while both Sony and Marvel finalize their Spider-Man deal. The movie will reportedly be called Spectacular Spider-Man, and Sony is envisioning this movie as starting a new trilogy, with subsequent sequels to be released over consecutive summers. Also, this will not feature another origin story and, as previously reported, it will take place mostly in high school. The studios want to cast a younger actor who can "grow into the role" that will span multiple trilogies. Of course, none of this has been confirmed by Sony or Marvel yet, but what do you think about these new details? Is this what Marvel's big Thursday announcement is all about?